Sevastopol’s Wars is published by Osprey in the United Kingdom on 20 April 2017. As Sevastopol’s Wars: Crimea from Potemkin to Putin nears publication on 20 April 2017, many people have asked me what inspired me to write the book, and how I approached the task. My original interest in the history of the Crimean peninsula and its principal naval port, Sevastopol, arose from writing another work – Manstein: Hitler’s Greatest General, published by Weidenfeld & Nicolson in 2010. While researching this volume, I had determined to travel to Crimea in order to view the terrain of Erich von Manstein’s Crimean campaign of 1941–42. This operation resulted in a prolonged 250-day siege (from a Soviet point of view, defence) of Sevastopol. The city was then occupied by German and Romanian forces and subsequently liberated by the Red Army in 1944. From the moment I first visited Sevastopol in May 2007, I was struck by the Black Sea city’s particular qualities: its commanding geostrategic situation coupled with its rich and varied history; by the natural beauty of its setting and pleasing architecture of its buildings, both military and civic; and not least by the friendliness and openness of the local inhabitants. 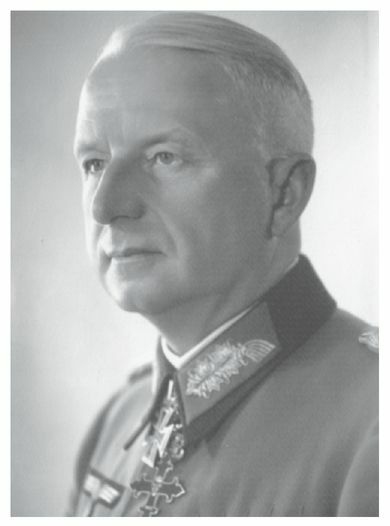 Erich von Manstein was promoted to the rank of General Field Marshal following the capture of Sevastopol by German and Romanian forces on 1 July 1942. By the time I had finished writing Manstein in mid 2009, I was already sketching out my first ideas for a history of Sevastopol from its founding by the Russo-Scot, Rear Admiral Thomas Mackenzie, in 1783 through various conflicts to its reconstruction in the period immediately following the Second World War. Within this wide timespan, my initial intention was to focus on the events of the Crimean and Second World Wars. Meanwhile, I had opportunities to revisit the city in 2009 and 2011, which further stirred my fascination in the place. By the end of 2011, I had conducted my first interviews with veterans of the Great Patriotic War – as the Second World War is still referred to in the states of the former Soviet Union. Further research into the history of both Crimea and Sevastopol in 2012 and 2013, including follow-up visits and battlefield studies, indicated that it made little sense to focus solely on the Crimean and Second World Wars. The connecting episodes, such as the Russian revolutions of 1905 and 1917, the First World War and the Russian Civil War, offered many equally interesting insights into Sevastopol’s history. So I determined to write a more comprehensive account of the city – its biography so to speak – from its ancient foundation by Greek colonists to the modern day, highlighting its military development from the annexation of Crimea by Catherine the Great at the urging of her plenipotentiary for South Russia, Prince Grigory Potemkin. At the time I had signed a book contract with Osprey in 2013, few had any inkling that Crimea and Sevastopol would come to world attention with the annexation by Russia (or ‘unification with’ from their perspective) in February-March 2014. Soon thereafter the title of the book emerged. President Vladimir Putin speaking at Sevastopol on 9 May 2014 – Victory Day – and the 70th anniversary of the liberation of the Crimean city. 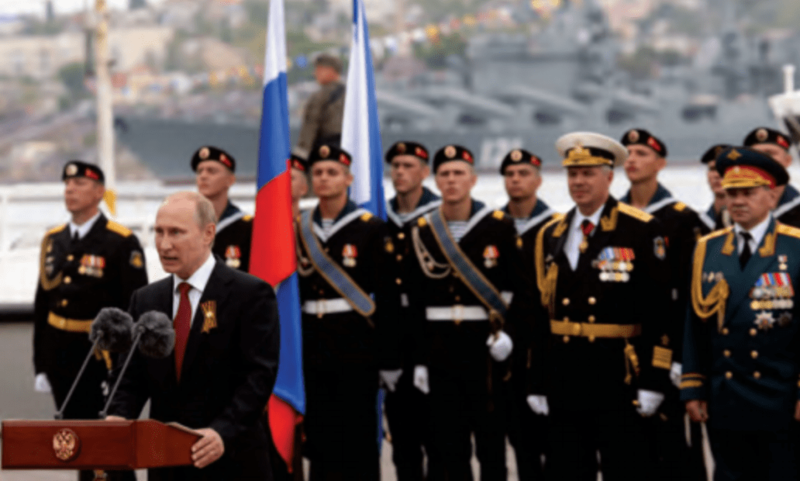 President Vladimir Putin enjoyed his moment of triumph in Sevastopol on 9 May that year, which marked the seventieth anniversary of the liberation of the city from its wartime occupiers, and the sixty-ninth anniversary of the Soviet defeat of Nazi Germany on 9 May 1945. This historically and politically significant date is commemorated in the former Soviet Union as Den’ Pobedy – Victory Day. 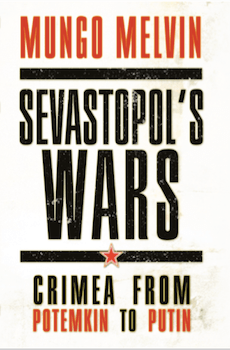 As readers of Sevastopol’s Wars: Crimea from Potemkin to Putin will soon learn, the book opens and closes on 9 May 2014 when the people of Sevastopol gladly celebrated Crimea’s return to Russia. It must be stressed, however, that Russia’s annexation of the peninsula – regarded as a breach of international law in Ukraine and the West – is hotly disputed. While economic sanctions raised against the Russian Federation remain in place, and where consular cover is lacking, Western tourists are discouraged from visiting Crimea. Thus it is surely opportune now to tell Sevastopol’s special story, not only describing battle to battlement, but also documenting many of the famous individuals associated with the city. These include Leo Tolstoy, who captured the indomitable ‘spirit of Sevastopol’ when narrating the defence of the city during the Crimean War. In my next article I shall cover some of the research involved in writing the book, and describe a number of the interesting Sevastopolians I met in the process. The music video for the Kasabian song ” Empire ” is set in the Crimean War and depicts the band’s members as soldiers of the 11th Hussars Regiment.